The gifts of the Lady are given with generosity of spirit, yet her words are stern and foreboding. Still, where will the Fellowship go? Minas Tirith and Gondor? Mordor itself? The group is faced with an insoluble dilemma until Celeborn offers a solution that offers a temporary repreive. As the Fellowship sets off down the Anduin, our suspicions linger, what is exactly going on inside the head of Boromir? 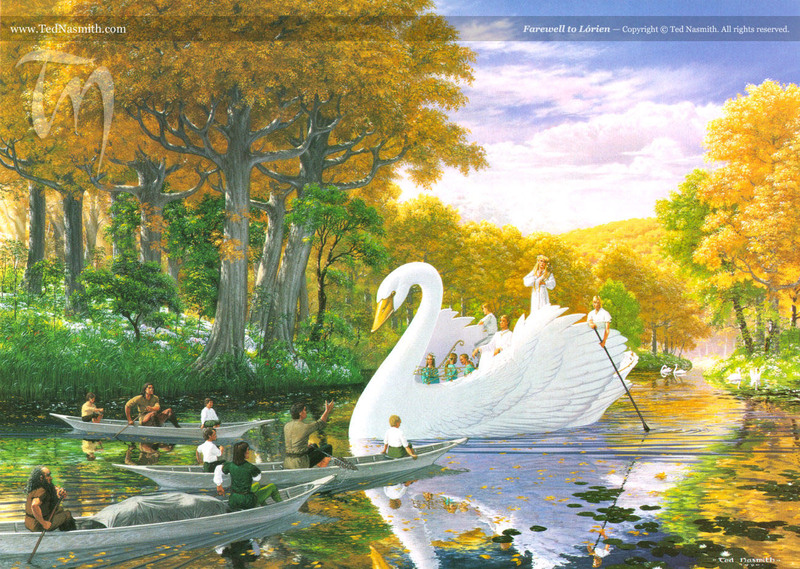 Farewell to Lórien, by Ted Nasmith.